Kenwood House, at the northern end of Hampstead Heath, is currently closed for a £3.9 million Heritage Lottery Fund restoration. English Heritage has politely banished the repair workers for one day only, with a special open day and garden party this weekend. Head up to the house between 11am and 4pm on Saturday 16 June to get a free tour of the house, currently lacking its paintings and furniture. Then stretch your legs and play games on the lawn, before taking tea with the 1st Earl and Lady Mansfield — or at least actors portraying the 18th-century Kenwood-dwellers. 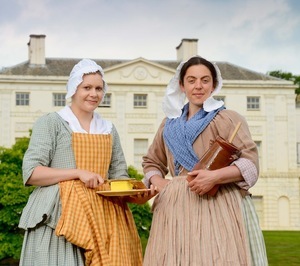 You can also witness a butter-making demonstration in the house's dairy, courtesy of maids-a-churning in period dress. English Heritage experts will also be milling around, to answer any questions about the restoration. The house will fully reopen in autumn 2013.